With many thank to Fr. 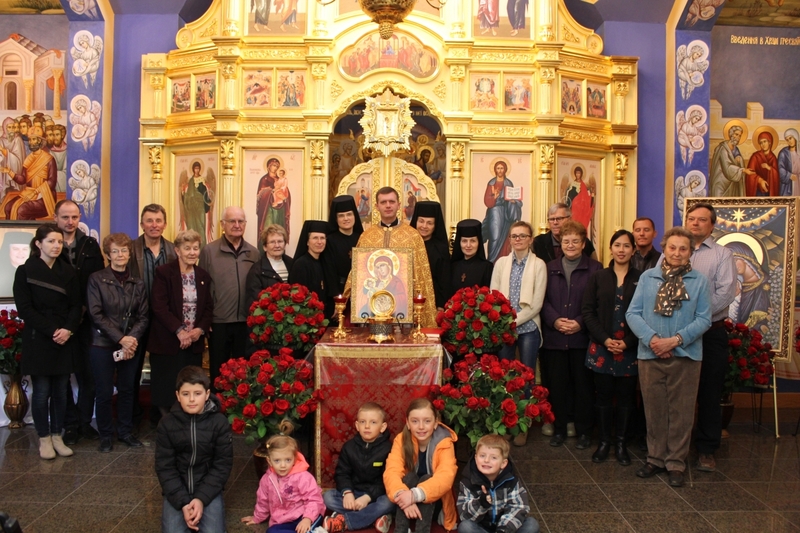 M. Khomitskyy for receiving permission and blessing from Bishop Bryan for us to visit the Shrine of the Blessed Nuns and Martyrs Laurentia and Olympia, to venerate the replica of the Holy Shroud, and for organizing the Lenten pilgrimage. This was the climax to our Lenten mission held at Rossburn just a few days before. 22 pilgrims including children attended this pilgrimage. From the moment we stepped onto the premises if the shrine, an aura of peace and prayer prevailed. 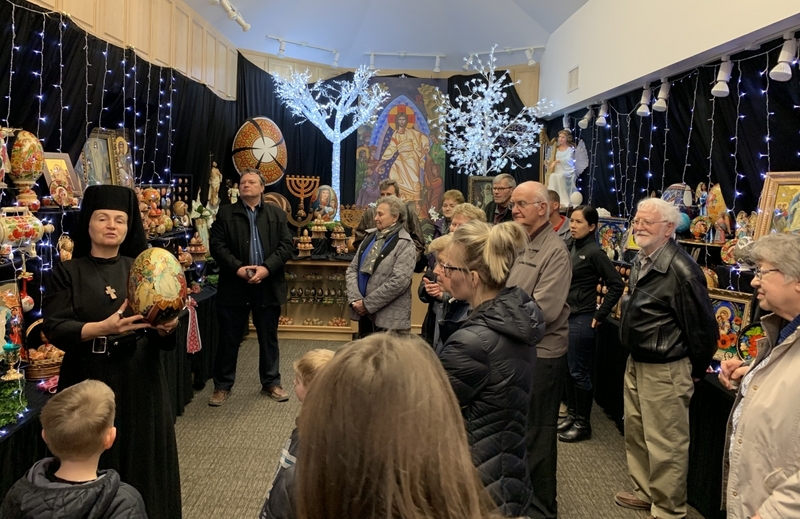 We were greeted by the Sisters of St. Joseph and together we prayed in the beautiful chapel where also the Holy Shroud is displayed. Just a few steps away at a visitors center we were treated to our meals prepared by the sisters. During this time Sister Sophia reflected on the spiritual wellness and positive outlook on life. Later she spoke on the power of prayer. The prayer need not be always long, Simple words such as "Jesus, Son of God, have mercy on me a sinner". This simple prayer is very powerful, like a sword of the Holy Spirit. Each of us received prayer beads called chotky. 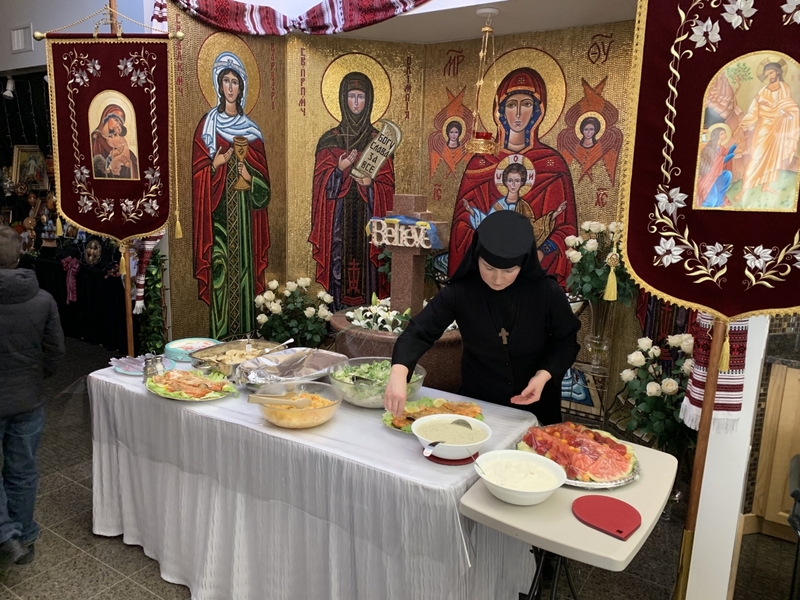 Sister Sophia then guided us through a room full of beautifully decorated Easter eggs, every size and shapes from many different countries. There were icons telling their stories through art. Another room featured nativity scenes from different countries, and beautiful paintings done with beads. Sisters contacted Fr. Gregory Hrynkiw to a presentation about the Holy Shroud. Fr. 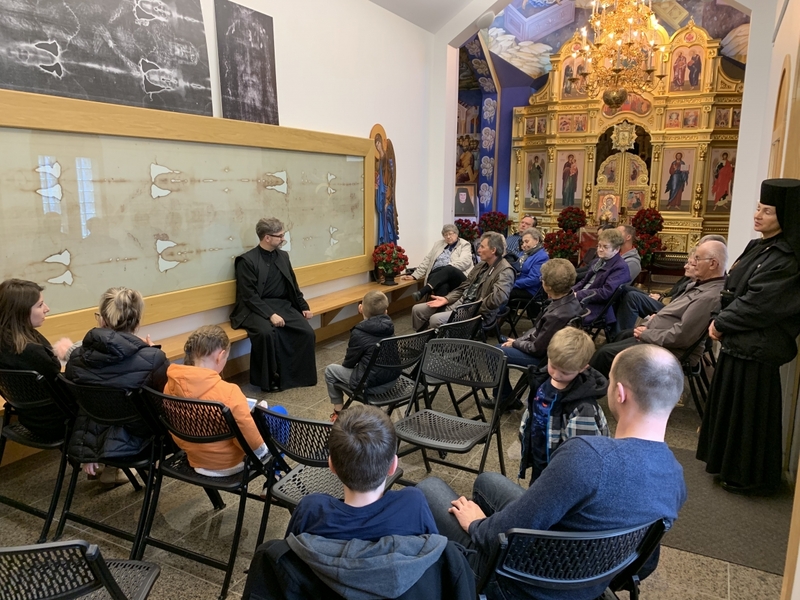 Hrynkiw gave us a very detailed, descriptive account of the Holy Shroud. The Holy Shroud is the most studied article in the world and research through modern technology makes it more and more certain that the shroud of Turin is truly that of Jesus. A scientist from NASA did a 3D image, became a believer. It is considered as the 5th gospel. 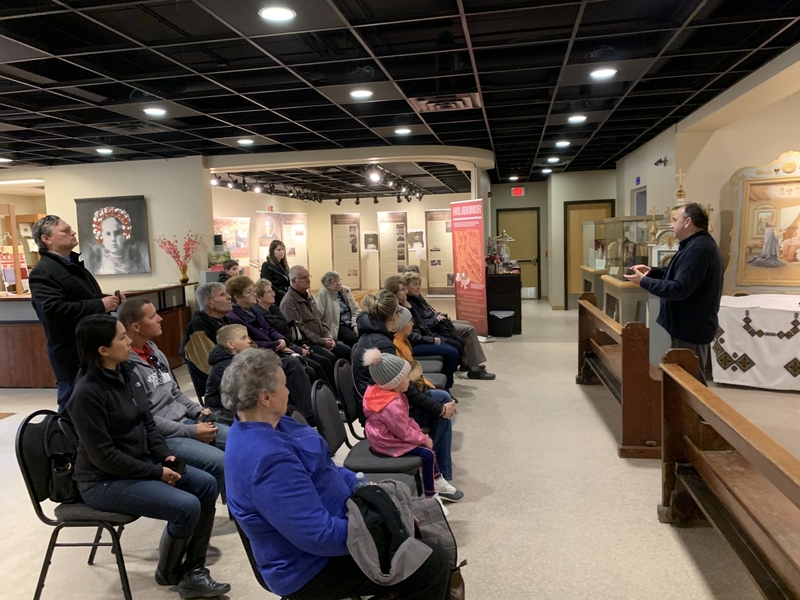 The visit of Musee Ukraina Museum was enlightening. We were given a brief history of the museum. 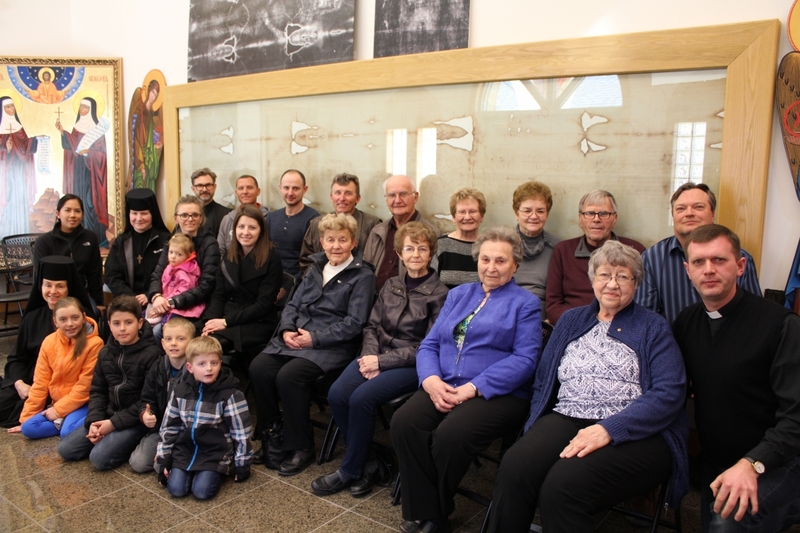 It was first started by the Ukrainian Catholic Women's League in the 1950s. It skillfully and artfully exhibits the history of the Ukrainian people as well as the contributions they have made. We were shown the Christmas Nativities from different countries, the different breads made by ladies from the Sakatoon area, etc. 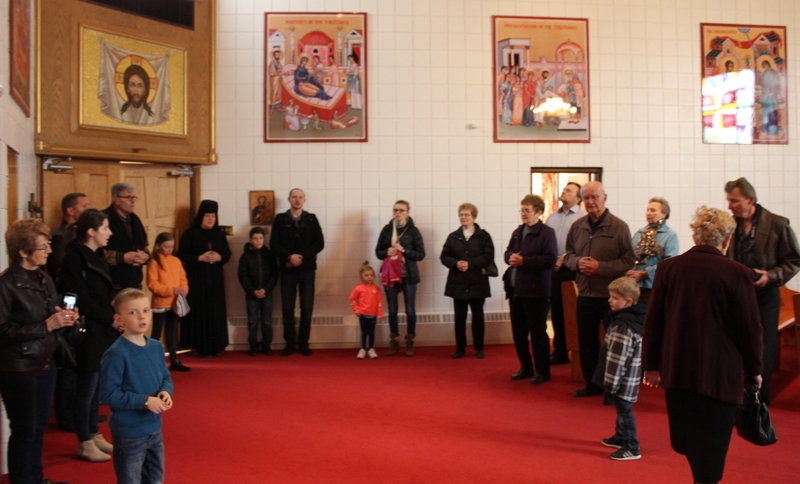 Our day concluded with Station of the Cross service before the Plashchanytsya. 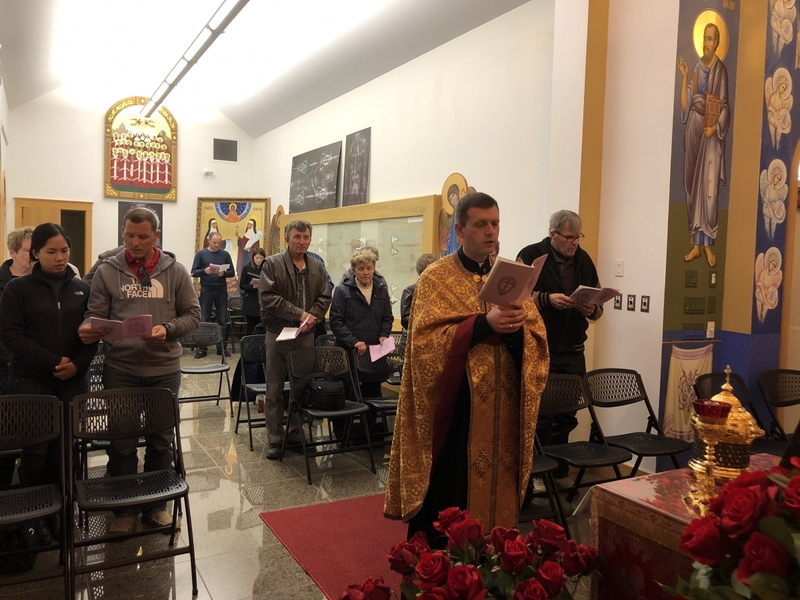 On Saturday, Divine Liturgy was celebrated at the shrine and the veneration of Holy relics of Blessed Laurentia and Olympia. Sister Sophie gave a brief account of the lives of Blessed Nuns and Martyrs Laurentia and Olympia. 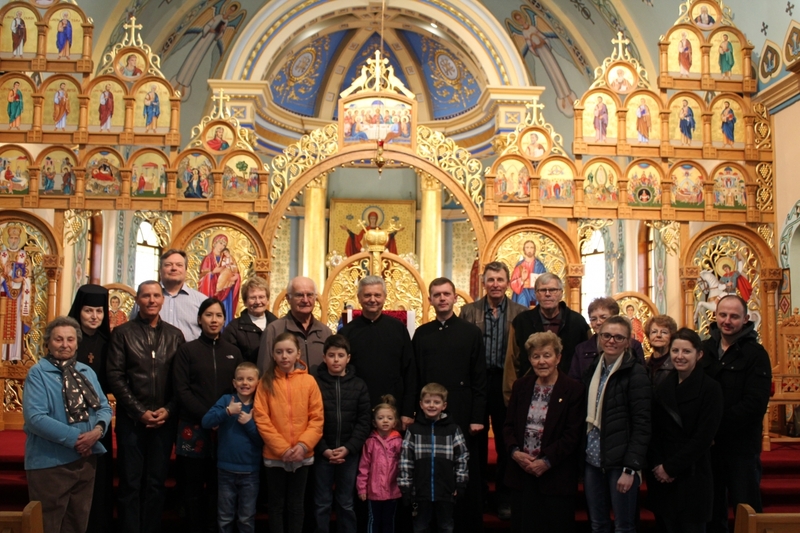 We visited the Ukrainian Catholic Cathedral of St. George and Fr. Janko Kolosnjaji gave us a brief history of the cathedral, and the residence. 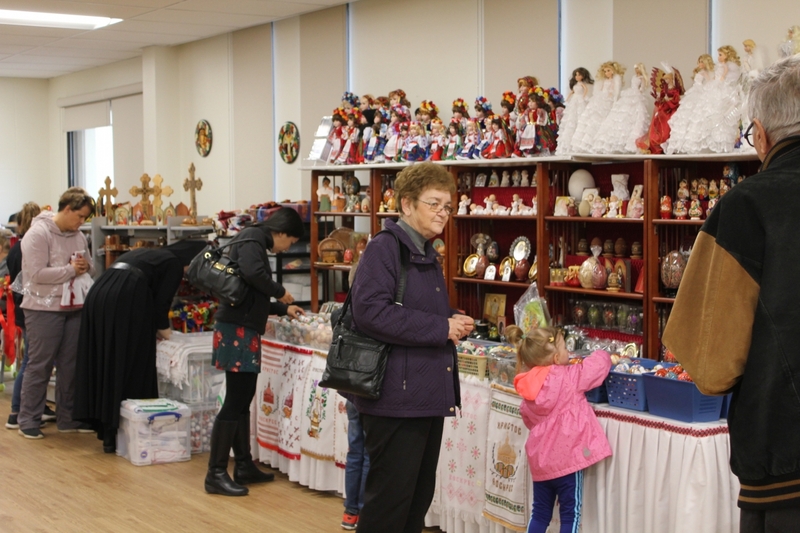 Then we visited and toured with the Sisters the St. Joseph Home, and the Ukrainian Religious Boutique. 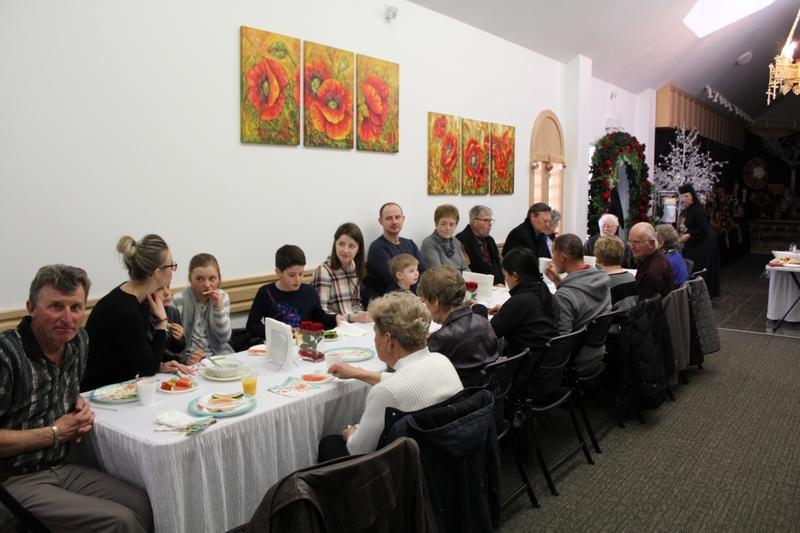 A delicious luncheon was served by the sisters of St. Joseph's Home. 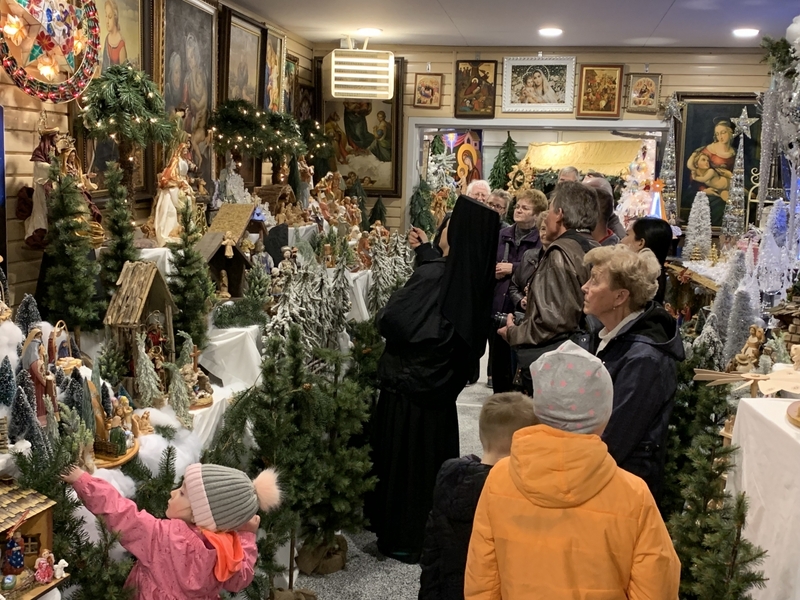 This was a very spiritual and enlightening pilgrimage for all of us - to pray, to celebrate the Divine Liturgy and to venerate the Holy Shroud. A special Thank You and blessings to all Sisters of St. Joseph for hosting us during these two days.